Olga Shimoni - Faculty of Science, University of Technology, Sydney. Intracellular trafficking of single fluorescent nanoparticles. Dr Olga Shimoni is Senior Lecturer at the UTS Faculty of Science and NHMRC-ARC Dementia Research Fellow. She is also co-CI on the ARC Industrial Research Hub for Integrated Device for End-user Analysis at Low-levels (ARC IDEAL Hub). She graduated with PhD from Melbourne University in Chemical and Biomolecular Engineering in 2012. Her research brings together breakthroughs in physics, chemistry, nanotechnology and biology to improve human health. It spans across creating nanoscale biosensors for earlier detection of Alzheimer's disease; point-of-care tests for celiac disease, tuberculosis or prostate cancer; drug delivery carriers to target diseased tissue; and multi-functional luminescent probes that can monitor organelle activity and interactions. As an earlier career researcher, she received more than $5 million in external grants, published more than 25 research papers in high-impact journals and two patents. Yujie Sun - School of Life Sciences, Peking University, Beijing 100871, China. Super-resolution study of nuclear structure and dynamics. Dr. Yujie Sun obtained his Bachelor and Master degrees in Chemistry from the University of Science and Technology of China in 1996 and 1999, respectively. He came to the University of Pittsburgh to pursue his PhD degree. Advised by Professor Gilbert C. Walker, Dr. Sun focused on studies about mechanical properties of biopolymer and synthetic polymeric materials at macroscale and nanoscale using Atomic Force Microscopy. After achieving his PhD, Dr. Sun joined in Dr. Yale E. Goldman's group at the University of Pennsylvania School of Medicine. As a member of the Pennsylvania Muscle Institute and Nano/Bio Interface Center, Dr. Sun worked with an inter-disciplinary team to solve the puzzle about how molecular motor works using single molecule fluorescence and manipulation techniques. In 2011, Dr. Sun joined in the Biodynamic Optical Imaging Center (BIOPIC), Peking University, as an assistant professor. 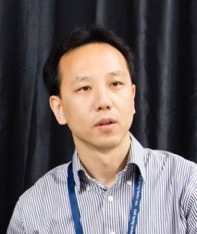 At BIOPIC, Dr. Sun has been developing advanced single molecule imaging and manipulation techniques to study gene regulation in the cell. Keng-hui Lin, Institute of Physics, Academia Sinica, Taipei, Taiwan. Investigating apical constriction force of Madin-Darby Canine Kidney Cells by laser ablations. 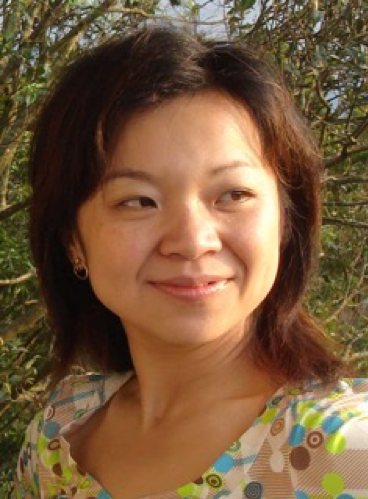 Dr. Lin’s lab focuses on understanding the influence of dimensionality on mammalian cellular behaviors from the view point of mechanobiology. Her lab has developed novel 3D culture scaffolds as monodisperse open solid foam and utilized quantitative image analysis to analyze cell morphology in 3D. Her lab’s latest research project is to investigate the apical tensions of Madin-Darby Canine Kidney cells by laser ablation and image analysis on cell shapes. 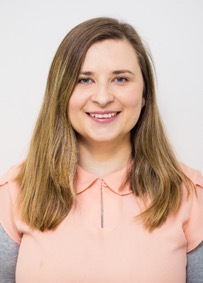 Elizabeth Hinde is currently a NHMRC Career Development Fellow and laboratory head within the Department of Biochemistry and Molecular Biology, University of Melbourne. 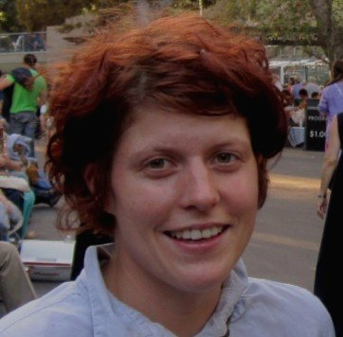 In 2010 Elizabeth completed her PhD in fluorescence spectroscopy at the University of Melbourne and was then recruited to the Univers ity of California, Irvine, USA to pursue a post-doctoral fellowship under the mentorship of Professor Enrico Gratton. In the Gratton lab (2010-2013) Elizabeth developed methods based on fluorescence correlation spectroscopy (FCS) and fluorescence lifetime imaging microscopy (FLIM) to quantify chromatin dynamics in live cells. With the aim of applying this technology to cell biology, Elizabeth returned to Australia as a UNSW Vice Chancellor Fellow (2013-2015) and a Cancer Institute NSW Early Career Fellow (2015-2016) within the EMBL Australia node for Single Molecule Science, University of New South Wales (UNSW). Under the mentorship of Prof. Katharina Gaus, Elizabeth established a research program at UNSW which investigated live cell nuclear organisation. This work was recently recognised by the US Biophysical Society with the 2014 Young Fluorescence Investigator Award and the Australian Society of Biophysics with the 2016 McAulay-Hope Prize for Original Biophysics.